KEY TECHNOLOGIES: The CG is lower than previous AP1s due to 50 percent more tungsten. PLAYABILITY: A cut above the 714s -- automatic irons, effortlessly high and straight; not merely pointand- shoot -- moderate bends and launch angles are in play; smooth operator handles awkward situations -- helps you work your way out of rough, bunkers, whatever’s in the way. 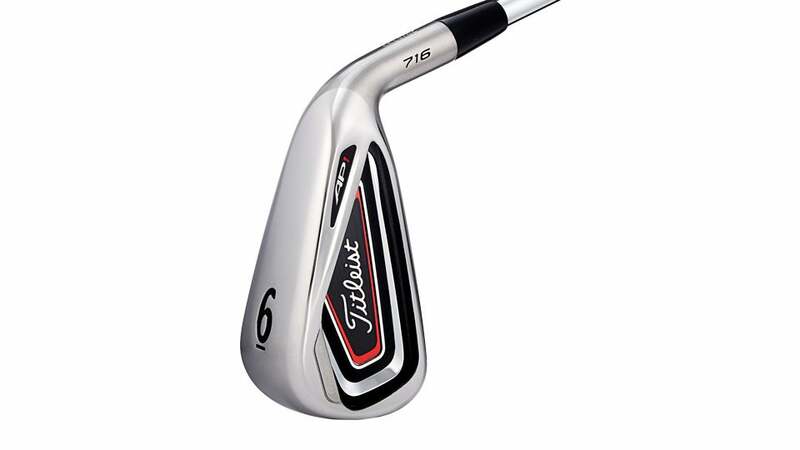 ACCURACY/FORGIVENESS: Titleist’s most accessible iron in recent memory -- misses are minimal and almost always playable; a mild-tempered club, outstanding at covering up mistakes; more forgiving than previous AP1s. DISTANCE CONTROL: Upper-echelon length; at least as long as what testers expect, and in some cases up to a club longer; consistency is king -- you could throw a blanket over your misses; swing easy and balls go far. FEEL: A rewarding, comfortable club that kicks in with minimal effort; awesome balance, compression and power -- plows through the ground and smushes the ball; small misses feel thumped. LOOK: A streamlined, sportier head than past AP1s, with a thinner-looking sole and a well-concealed cavity back; well-proportioned -- stout, but not clumsy -- think fullback, not O-line. Wedges can be a bit blunt on partial shots -- several testers would swap them out for something more refined; high-handicappers may need more help; muted feel at impact leaves a few testers lukewarm. BOTTOM LINE: Titleist pulls off a neat trick with 716 AP1, streamlining the head while making it easier to use. Think AP2 with training wheels: perfect for mid-handicappers, or good players looking to take the easy way out. It’s the best AP1 to date -- which makes it one of the top irons of the year.